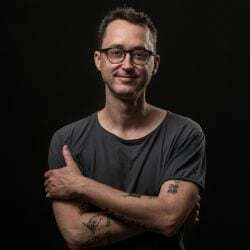 The Film and Media Studies Program is proud to announce that lecturer Matt Porterfield has been awarded a 2019 Guggenheim Foundation Fellowship in Film-Video. Appointed on the basis of prior achievement and exceptional promise, the fellows were chosen from a pool of almost three thousand applicants. In advance of the premiere of his fourth film, 'Sollers Point,' Johns Hopkins lecturer Matthew Porterfield spoke with The Hub's Bret McCabe about filmmaking, creating complex characters, and the colors of summer in Baltimore. FMS students continue to contribute to Baltimore film culture by providing script coverage for the Baltimore Screenwriters Competition, sponsored by the Baltimore Office for Promotion and the Arts. The red carpet. The marquee. The photo ops with film and television celebs. It was a lot like Hollywood, but much more conveniently located—just south of Johns Hopkins University’s Homewood campus, at the corner of Charles Street and North Avenue.